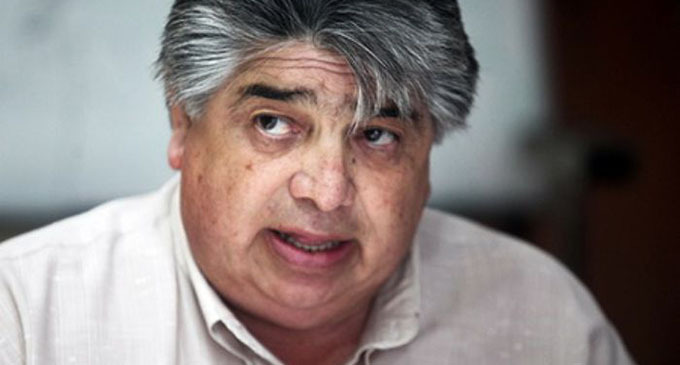 José Rigane, General Secretary of the Federation of Energy Workers (FeTERA) and Deputy Secretary of the CTA Autónoma, said in a recent interview with “Insurgentes” in Radio Sur 88.3 that utility fares are those of the first world but with a much more precarious service. He said that power cuts occur all accross the country and not only in Buenos Aires. “In Mar del Plata there are power blackouts all the time, which is a demonstration of the lack of investment of the companies that at the same time make a lot of money, have more subsidies and extraordinary profits”, he stressed. However, according to Rigane, the service is actually getting worse and will continue this path unless the energy model changes, but “the government is not willing to do this and less of all to regain State property, no only with the aim of a higher control, but also with aim of developing and guaranteeing public services in all areas,” he pointed out. “We are a in country that doesn’t have its own companies, so everything is in the hands of multinational corporations. 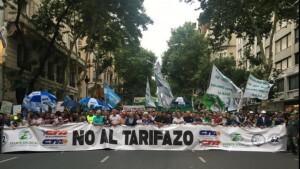 In this country territory concessions are still made, an obsolete practice elsewhere, and these companies can then sell or export anything they find within that space, and they do all this at incredibly high prices: Argentina pays 7.5 dollars per million BTU, when in the international market the cost is of approximately from 2.5 to 4 dollars per million BTU”. “Now, this ends if there was an energy model based on the recuperation by the people of the national patrimony, so that all Argentines can have access to energy,” he highlighted.